In the relatively short time it's been around, the G20 and its leaders summits have become the main political forum for co-ordinated action on the world's economic problems. Leaders meet in a plenary session at the G20 summit in Pittsburgh on Sept. 25, 2009. ((Associated Press/Carolyn Kaster))It's been said that the G20 is more of a process than an organization. After all, it doesn't have any permanent staff. That lack of bureaucracy, however, is no indicator of the Group of 20's influence. In the relatively short time it's been around, the G20 and its leaders summits have become the main political forum for co-ordinated action on the world's economic problems. The G20 includes 19 countries as well as the European Union. Together, its members account for two-thirds of the world's population, 80 per cent of world trade and 90 per cent of the world's GDP. The G20 was set up after the Asian financial crisis of the late 1990s. There had been much criticism that the G7 club of industrialized economies (Canada, the U.S., the U.K., France, Germany, Italy and Japan) didn't have any representatives from emerging economies. So the group was expanded and its first meeting was held in Berlin in late 1999. At first, the meetings were annual affairs, with only finance ministers and central bankers involved. That all changed with the global economic collapse that began in 2008. The leaders of the G20 wanted to inject themselves into the whole process, and the G20 leaders summits were born. The first leaders summit took place in Washington in November 2008. Two further summits took place in 2009 (in London and Pittsburgh). 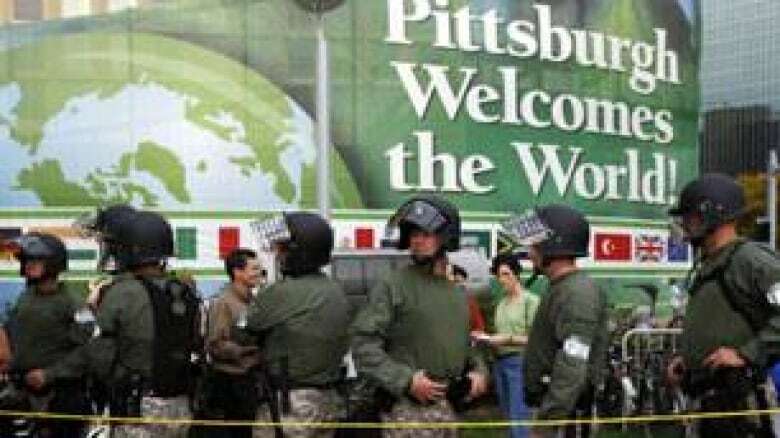 The Pittsburgh summit established the G20 as the "premier forum" for international economic cooperation, supplanting the G8. Canada will host its first G20 leaders summit in June 2010 in Toronto, with South Korea following up in November. The G20's official mandate is to promote "open and constructive discussion between industrial and emerging-market economies." It does that through a series of preparatory meetings that involve working groups of senior public officials and deputies who meet throughout the year to discuss a variety of issues like financial regulation and transparency. Personal representatives of each leader — known as "Sherpas" — lay the groundwork and hammer out the agenda for the big leaders summits. There are no formal votes taken at G20 meetings — the idea is to achieve some kind of consensus on final recommendations or measures that members should adopt. Its communiqués carry a lot of weight throughout the world. But it must work with other countries and international organizations — its resolutions have no force in law. Its dominance has upset some in the international community. "Officials in the UN and other venerable bodies resent that the G20 is hogging the limelight," notes Katinka Barysch, deputy director or the Centre for European Reform. "Yet it is these bodies that will have to implement G20 decisions." What has the G20 accomplished? In 2004, G20 countries agreed to exchange tax information. That move, while falling short of what some had wanted, was acknowledged as the first meaningful international effort to crack down on various financial system abuses ranging from illegal tax evasion to money laundering. With the onset of the financial crisis in 2008, the G20 took on a new role. The 2008 leaders summit produced a plan to stabilize the global economy. The leaders pledged to lower trade barriers and fight protectionism. The G20 also set up the Financial Stability Board, which has already reached a rough consensus on how to strengthen financial regulation. At the London summit in 2009, leaders agreed to implement the biggest co-ordinated expansion of the money supply in history. They also pledged more than $1 trillion US to create jobs and fix credit markets. Later that year, the G20 agreed to boost the voice of the developing world in several international financial institutions. Members also declared, if there was any doubt, that the G20 would be the "premier forum for international economic co-operation." 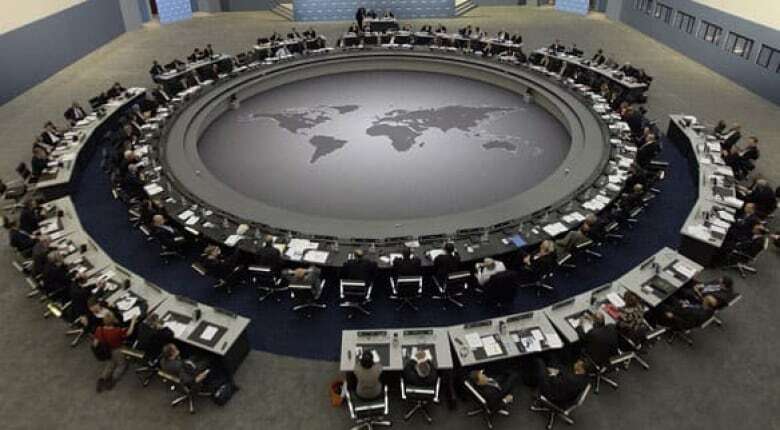 Some say the G20 is too big to achieve a meaningful consensus on many issues — pointing out that the meetings also typically include representatives from a variety of other organizations like the International Monetary Fund, the World Bank, and the World Trade Organization. Some also say the G20 is too dominated by Europe, with four European countries represented, along with the European Union. Spain will also attend the next G20 summit because it holds the current presidency of the European Council. Only one African country is a member (South Africa). There's also a question about how well its members have followed through on their pledges. On their promise to fight protectionist measures, for instance, the record has been decidedly mixed. Global Trader Alert — an independent trade monitoring organization — reported last September that G20 nations had imposed or were planning 255 protectionist measures in the first 10 months after their November 2008 "no protectionism" pledge. The OECD does acknowledge that G20 protectionist measures since September 2009 have been "less pronounced." Whatever happened to the G8? The G8 is still around, even if its importance and influence has been supplanted by the G20. Describing itself as a "club of leading industrialized countries," its member nations include Canada, the U.S., Germany, France, Italy, Japan, Russia, and the U.K. Before Russia was invited into the club in 2006, it was known as the G7. Before 1976, when Canada was invited to join, it was the G6. The G8 is scheduled to meet in Huntsville, Ont., just before the Toronto G20 leaders summit in June 2010.